to 20% of the income earned by the business. Facebook it does have some provisions that are beneficial to security businesses, especially those with less than $10 million in revenue. The Tax Cuts and Jobs Act established a new tax deduction — called the Section 199A deduction — for owners, including trusts and estates but excluding any taxable corporations or pass-through businesses (which, for this purpose, includes sole proprietorships and single member LLCs). Hopefully, most closely held security business owners have established their entities as, or converted them to, Subchapter S corporations, LLCs (that are either partnerships or S corporations for tax purposes), or Limited Partnerships. These types of entities generally pay no income tax at the entity level (excluding certain S corporations that were formed as traditional corporations). While a traditional (C) corporation pays taxes on its income, these other entities do not. They have “pass through” income, which means that the income is recognized and reported by its owners although it has been earned by the entity (whether or not such income has been distributed to the owners). cash was distributed. This is referred to as pass-through income. 37% to 29.6%. Following are the requirements to take it. (and a legitimate one at that) business to qualify for this deduction and the passthrough business must be a trade or business within the United States. to form a Subchapter S corporation and take a 20% deduction against his/her salary. an amount up to 20% of their QBI from each pass-through business they own. QBI is the net income that the passthrough business earns during the year. partners in partnerships or LLC members, or business income earned outside the United States. business. You must have taxable income — To determine your pass-through deduction you must first figure your total taxable income for the year (not counting the pass through deduction). This is your total taxable income from all sources (business, investment and job income) minus deductions, including the standard deduction ($12,000 for singles and $24,000 for marrieds filing jointly in 2018). You must have positive taxable income to take the pass-through deduction. Moreover, the deduction can never exceed 20% of your taxable income. If your taxable income is below $315,000 if married filing jointly, or $157,500 if single, your pass-through deduction is equal to 20% of your QBI. This is the maximum possible pass-through deduction. For both service providers and nonservice providers: If your taxable income is less than the $315,000/$157,500 thresholds it is very simple, you get 20%. 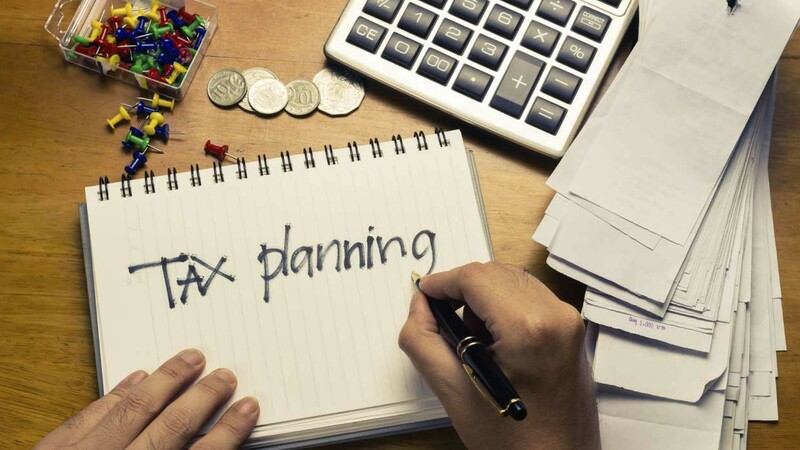 If your taxable income exceeds $315,000 if married, or $157,500 if single, calculating your deduction is much more complicated and depends upon your total income and the type of work you do. While The Act states that certain specified “service” businesses are not eligible for the deduction (and then allows it under the income thresholds) it is not clear as to whether or not a security or systems integration company would be considered a specified service business. The Act lists several types of businesses that are not eligible (doctors, lawyers, accountants, etc. ); nothing similar to a security or systems integration company is listed. Our firm has asked for a Technical Ruling from the Internal Revenue Service and we will update you when we hear back. figure your deduction depends on your taxable income. Thus, if you have neither employees nor depreciable property, you get no deduction. This is intended to encourage pass-through owners to hire employees and/or buy property for their business. Fortunately, most security and systems integration companies have large payrolls and fixed assets and should qualify. If you are still treating your installers and salespeople as “independent contractors,” and you think that you may be subject to this limitation, this is a good time to re think this strategy. The business property must be depreciable long-term property used in the production of income. For example, the real property or equipment used in the business (not inventory). The cost is its unadjusted basis — the original acquisition cost, minus cost of land, if any. The 2.5% deduction can be taken during the entire deprecation period for the property; however, it can be no shorter than 10 years, even if the actual depreciation period is less than 10 years. If your taxable income is $315,000 to $415,000 if you’re married filing jointly, or $157,500 to $207,500 if you’re single, the W-2 wages/property limitation is phased in — that is, only part of your deduction is subject to the limit and the rest is based on 20% of your QBI. didn’t apply at all — this is 20% x your QBI. Next, calculate your deduction as if the W-2 wages/property limit applied in full. Only if the W-2 wages/property calculation is less than the 20% calculation, your phase-in amount will be based on the difference between these two calculations multiplied by your phase-in percentage. Deduction for service business owners (income greater than $315,000/$157,500) — If you have no employees or property your deduction is phased-out by 1% (that is 1% X 20% or .2%) for every $1,000 your income exceeds the $315,000 threshold, and when your income reaches $415,000 you get no deduction. If you’re single and have no employees or property your deduction is reduced by 2% (i.e., .4%) for every $1,000 your income exceeds the $157,500 threshold and you get no deduction if your income reaches $207,500. Generally, all passthrough income (both specified personal service and other income) will be treated the same and get the full deduction (subject to net income limitations) as long as the applicable income is at or below the $315,000 and $157,000 thresholds described herein. Consulting Group in Fort Worth, Texas.